There's a lot of fuss being made about the coming NetHui 2011. And there's good reason! Accepting the role of leading this stream was a natural fit for CORE Education, which has provided leadership in future-focused thinking about the use of the internet in education for many years now. The themes of the education stream at the hui align well with several of the key themes identified in CORE's 'Ten Trends", published annually on the CORE Education website. NetHui 2011 is all about participation and is an opportunity for your community to focus on Internet issues. The Hui will provide New Zealanders from a range of sector groups with an opportunity to share ideas and experiences as we anticipate the roll-out of ultra-fast broadband in New Zealand, and what this may mean in terms of how we work, communicate and educate our citizens. 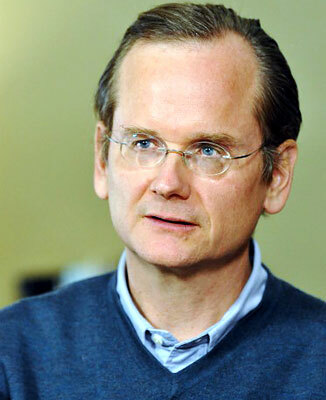 Keynote speaker at the event is Harvard University Professor of Law Lawrence Lessig, widely known in the global Internet community as a vocal proponent of reduced legal restrictions on digital copyright, and a champion of notions of 'fair use' and 'free culture'. Do you want to attend? Why not! Registration for this event is only $30 as it is being highly subsidised to make it accessible to as many people as possible to attend. I encourage educators from across the sector to consider attending this event to take the opportunity to contribute to the education stream discussions, and to learn from what those on other sectors are thinking about as we prepare for a world of ultra-fast broadband. Providing effective professional development opportunities for all staff can be a perplexing task at the best of times. To begin, there’s the issue of whether PLD should be used to benefit individual staff members, or whether it should be coordinated to address a school-wide need. Then there’s the issue of finding approaches that will suit the particular needs and stages of development of staff—the old ‘one-size-fits-all’ approach simply doesn’t cut it. Finally, there’s the proverbial challenge of making the PLD investment ‘stretch’ far enough, and the fact that the best PLD is that which is sustained over time, providing opportunities for practice and reflection – rather than the old model of a single workshop here and there. These are not easy issues to resolve, particularly if you are looking at a PLD resource that is ‘fixed’ in terms of time and space—for instance, a specialist facilitator, or particular premises on a particular day etc. This is where a blended approach can be useful. By combining the best of face-to-face facilitation, with the benefits of well designed online opportunities, PLD can be provided for staff that is engaging, sustained, and targeting identified areas of need. During 2010, a team from CORE Education worked with a group of staff from nine secondary schools in the Canterbury region to assist them in the development of in-school approaches to implementing the NZC. The approach used a combination of face-to-face seminars, together with a series of online ‘modules’, providing access to expertise and resources that could be used by individuals or groups at a time. The online materials were used as a ‘stimulus’ for staff meetings held in the various schools, and from time-to-time, participating teachers joined together for an online ‘webinar’, where they had the opportunity to hear from and interact with ‘experts’ who had been involved in the writing of the document or in the development of supporting resources. CORE Education has recently announced the launch of its “Achieve” online courses—the first of a list of courses being developed to be made available completely online. The intention is that individual teachers may choose to enrol for their personal development, or schools may choose to subscribe and use these courses to underpin their locally-facilitated PLD of a set period of time. For some, the idea of being able to log in and access their professional learning at a time and place that suits is very appealing. For others, the idea of working with a group in a local context is more appealing. CORE’s blended approach supports both methods, and others besides. 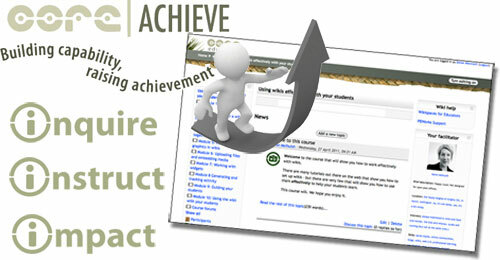 Check out http://www.core-ed.org/services/achieve to find out whether there’s something here to meet your needs. The first of CORE’s Ten Trends for 2011 has had its video uploaded, and is now available to use as a starter for staffroom conversations or personal inquiry. We’re now entering the fourth decade of serious computer-use in classrooms. Each decade has been characterised by a significant development in the technology—in the 1980s it was the standalone computer in the back of the classroom or computer lab, and in the 1990s we saw the advance of computer networking and the introduction of the World Wide Web. In the 2000s it was social networking that became the focus, with the emphasis on the user as a contributor and creator, not just consumer. In the coming decade this change will continue, with several significant developments that are likely to impact on the way we use and interact with computers—including for education. As a focus for our first trend this year, the CORE team have recognised that the web itself is becoming ‘smarter’, that is, there is a developing ‘intelligence’ within the web itself, facilitated by the devices within the network itself, rather than depending purely on the intervention and control of humans. Visit our Ten Trends 2011: Trend 1 – Smart Web to read more about each of these things, with links to some examples – and add your thoughts about where you see these things impacting on what you do in the classroom or our education system in general. You are welcome to comment on any of the trends in the Ten Trends list. A number of years ago I had the misfortune to be caught in a heavy rain shower on my way to work. Not only did the water penetrate the raincoat I was wearing, leaving me totally saturated, but it also ‘drowned’ my laptop, leading to problems occurring when I tried to start it up, resulting in the hard drive being completely unusable and nothing able to be retrieved from it. Fortunately I worked in an organisation that allowed me to send daily backups of my laptop across the network to be stored on the server. Within a few hours I was again working on a borrowed laptop, with all my files installed, minus just a few things I’d been working on the night before. That was really my first ‘close shave’ that caused me to appreciate the absolute importance of ‘backups’! Failure to do that would have been a disaster for me! I’m imagining that many schools and teachers in Christchurch are thinking about this after the recent earthquake. Many have either had their laptops or servers destroyed, or have lost access to them as they lie inside condemned buildings. For them the issue of ‘disaster recovery‘ takes on new meaning – more than simply a case of whether things have been ‘backed up’ – but also a case of where those back-ups are located. The principal from one school I spoke to is distraught because while his school had invested wisely in a complete back-up server and ensured that regular and comprehensive back-ups were made on a regular basis, the back-up server was located alongside the active server in the school, and together they lie in a condemned building in the city. Their data is undoubtedly safe, but inaccessible. A teacher from a second school was telling me how ‘lucky’ they were that as the earthquake was happening their technician had the presence of mind to grab the back-up tapes from the office as he fled the building, and now the staff and students are able to continue operating on borrowed computers in borrowed premises accessing their files installed on a borrowed server. Certainly a case of good luck rather than good planning – they are the fortunate ones. Their tapes could so easily have been left inaccessible inside a condemned building also, leaving them in the same situation as the first school. 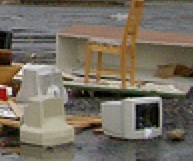 One of the essential elements of a good disaster recover plan is to ensure that you have off-site back-up and storage. This doesn’t simply mean that you take the back-up tapes home at the end of each day. Effective off-site back-up involves regular ‘pushing’ of data to the off-site server – this should occur at least once daily, typically overnight, but with digital data being mission critical for schools, more frequent back-up or “continuous data protection” should be seriously considered. This is one of the significant benefits of being connected to Ultrafast Broadband, and as schools look forward to how they can leverage their investment in UFB, the lessons learned from Christchurch should raise the concerns for a good disaster recovery plan to somewhere near the top of the list. Many schools are likely to be closed for some time following the Christchurch earthquake on 22 February 2011. At the present time 18 schools have been identified as having serious problems, representing more than 10,000 students. Dozens of other schools are also affected, but to a lesser extent. There are a number of schools that will not be able to open in the foreseeable future, meaning those students will require alternative accommodation. 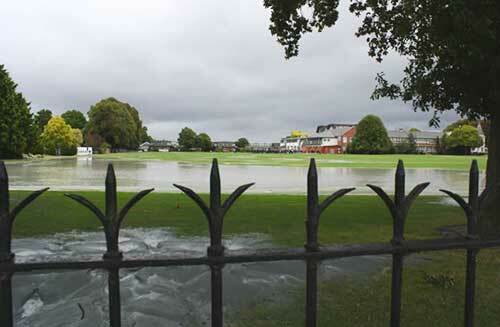 A large number of students have already fled Christchurch with their families, some are enrolling in schools in other parts of New Zealand, and others are simply not attending school at this stage. Some parents are experiencing anxiety about their children attending school in the short term for fear of being separated in the event of another quake. Others are desperately keen for their children to be able to attend school because of the childcare role it plays, so they can return to work. Teachers also are impacted, with many having left Christchurch in the wake of the quake, and are therefore not likely to be able or want to return to work in the immediate future. Access to electricity and internet is a problem in some areas, so online programmes may be a part of the answer, but not entirely. Thus, the solution will need to be creative, flexible and offer a sustainable way forward. This will take some serious thinking and coordination. A blended approach must be considered. The national network of teachers who have skills and knowledge in this area, who may be able to contribute in a range of ways. The Ministry of Education is, understandably, taking a considered approach, as they ascertain the exact nature of the problem, numbers involved etc. Whatever they decide to do, we want to be prepared so that there are a range of options available to those affected, and that these options may be presented in such a way that they might provide opportunities for a continued ‘blended service approach’ beyond when the immediate concerns of solving the issue of access to learning for the displaced students (and staff) have been addressed.